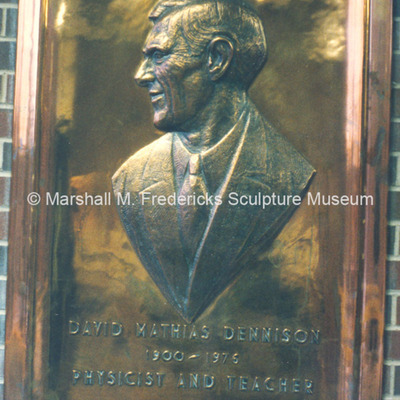 "David Mathias Dennison Portrait Relief"
Bronze portrait plaque of David Mathias Dennison, physicist and teacher, located in the David M. Dennison Building at the University of Michigan. 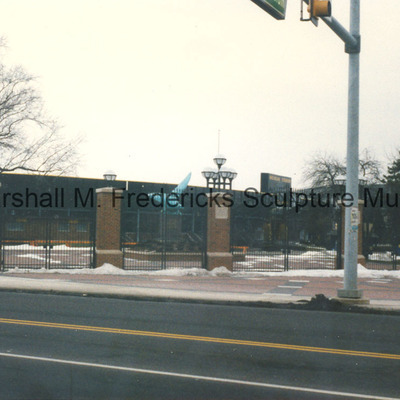 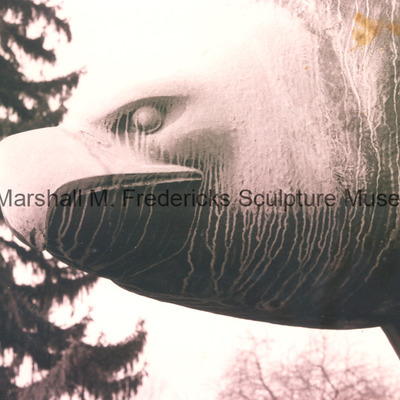 "American Eagle (Ann Arbor War Memorial Eagle)" View of Eagle from across the street with traffic light in image. 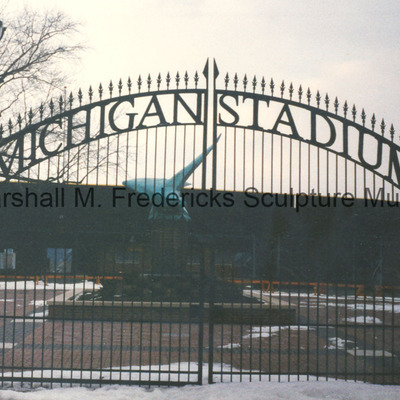 View of the Eagle sculpture at the University of Michigan stadium from across the street. 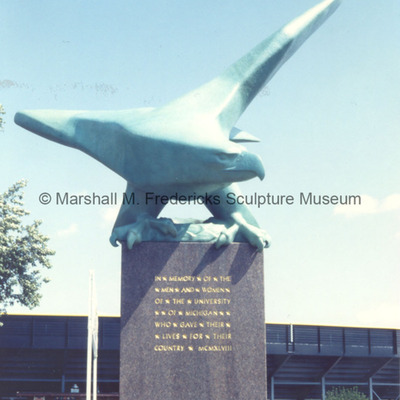 "American Eagle (Ann War Memorial Eagle)" View from across the street through fence surrounding the stadium. 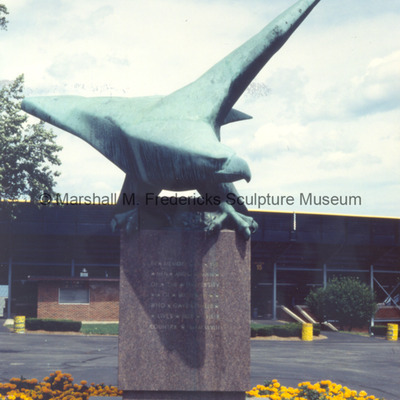 "American Eagle (Ann Arbor War Memorial Eagle)" View from outside of the stadium's gate. 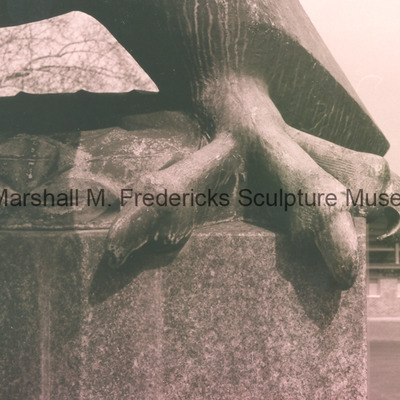 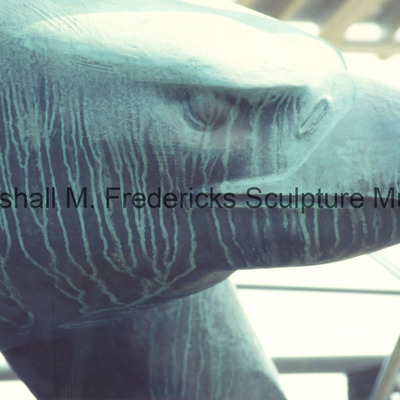 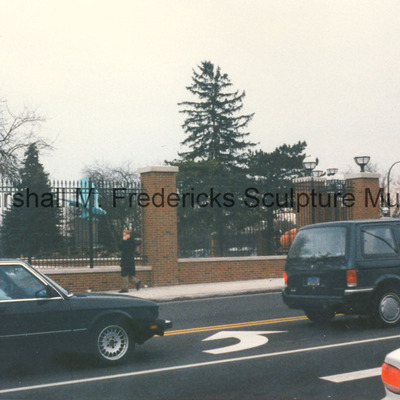 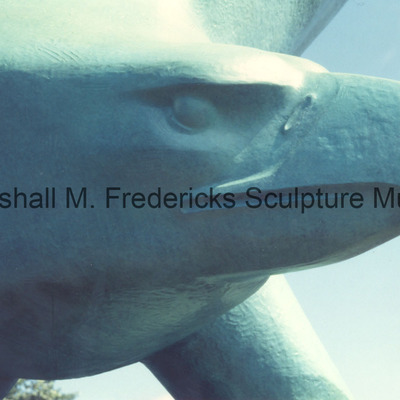 View of Eagle sculpture from outside University of Michigan Stadium's gate.